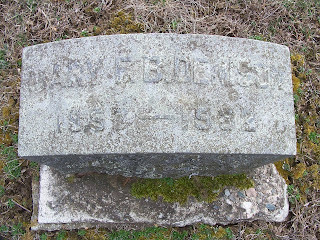 Mary Fanny Brown, was the daughter of Elias Billings Brown and his wife Eliza Avery. 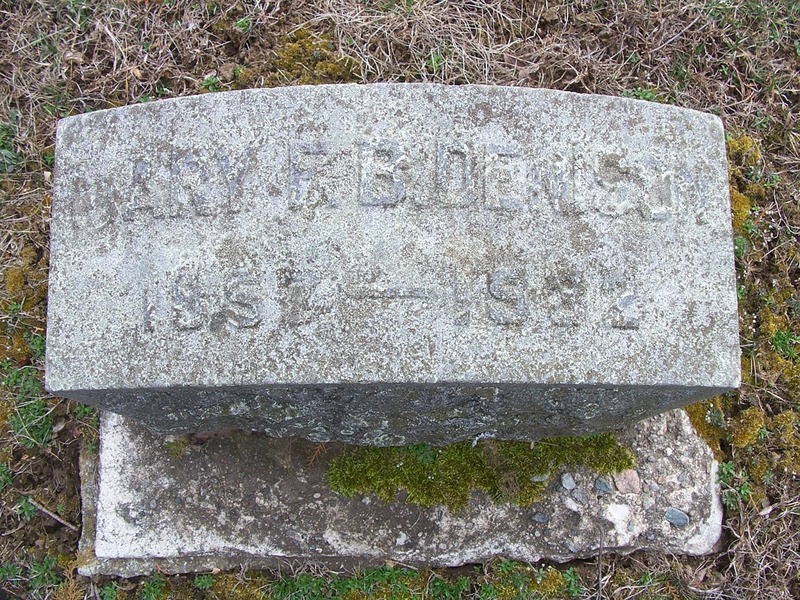 As custom dictates, she is buried with a headstone that gives her married name, except that her first, middle and maiden name are listed in their initial form. 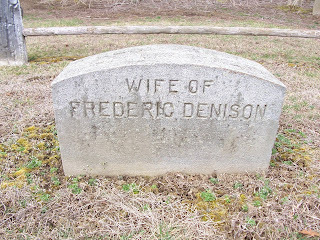 The back side of her headstone lists her as Frederick Denison's wife but not as a daughter of Elias and Eliza. This is because she was a married woman. Mary Fanny married Frederic Denison (my first cousin, 3x removed) on 8 Mar 1882. 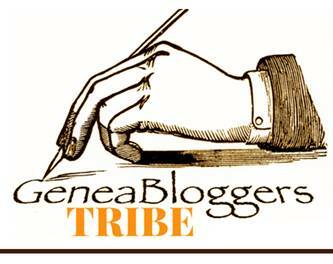 This date is the same in the Burrows and the Denison genealogies. She was 25. In the 1880census, she is living in with her parents and is listed with the common occupation of "at home" which means she is not in school or employed. Her brothers, E. Everett and Charles are living there and are both employed. This family had a live in female twenty year old named servant. Elias and his son work in the insurance agency business. 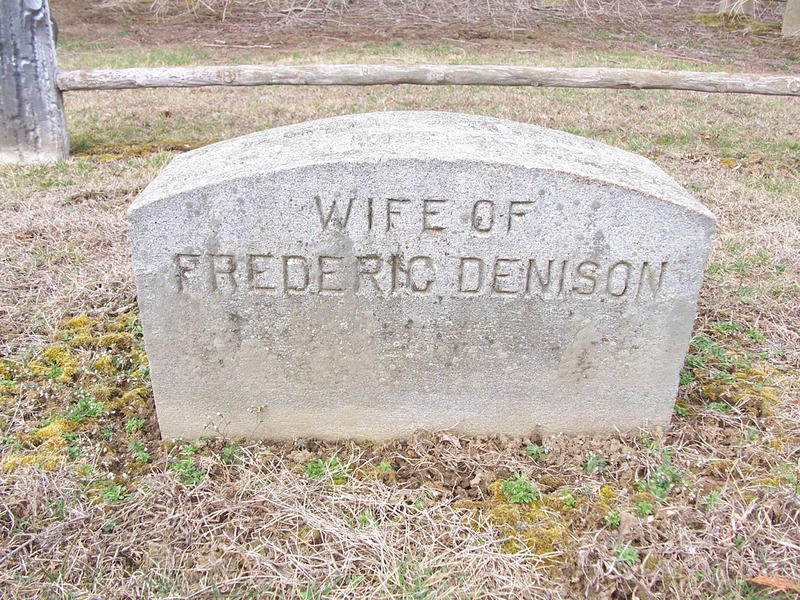 In 1900, Mary Fanny and her husband have one child together, Eliza Frances Denison which was the reason that I wanted to be sure that this child (as Eliza F. Denison) was NOT my ancestor. I don't have an exact date of death for Mary Fanny Brown Denison, just a year. She was 76 years old at death.